Billions of Humans believe in reincarnation. Read all about the evidence in favor. In my previous essay, I said that each of us is responsible for our own situations…that, in other words, none of us is a victim of anything except our own issues. But, surely I can’t be referring to children! And, how can this apply to people who are victims of disease, especially genetic diseases or illnesses like polio or cancer? But, I am referring to these people as well. The key to understanding how this could be, is an awareness of the fact of reincarnation. Since so much rides on an understanding of this mechanism, I will devote this essay to detailing the proof of its existence. Reincarnation is an ancient belief—perhaps the most ancient philosophical belief in all of Earth. Even now, in these "enlightened" times, more people accept reincarnation as a reality than do not by a factor of at least five. If this belief was totally unfounded, it would seem likely that its adherents would be fewer. However, as an ancient belief, reincarnation was not subject to tests. At best there were a few (or thousands) of anecdotes suggesting its existence, but which, by themselves, proved nothing. 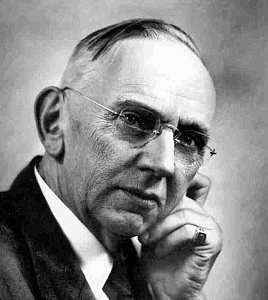 Beginning in the 1940s, however, interest in this subject increased in the Western world; sparked, in large part perhaps, by the psychic Edgar Cayce. 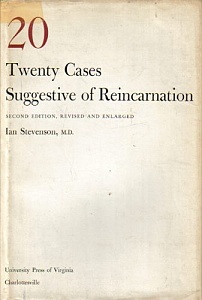 When further study revealed at least some scientific basis for believing in reincarnation, it became clear to anyone exposed to the information that here was, indeed, revealed a mechanism by which the Universe works. For those unfamiliar with this man's history, let me provide a brief recounting of it. In the subsequent years, Cayce discovered he could diagnose and prescribe cures for anyone's illnesses—even if he had never met the person-in this hypnotically-induced sleep state. He had no medical training, but that didn't stop him from prescribing treatments involving patent medicines, herbs, magnetism, electricity, chemicals, and other techniques that ranged far beyond the medical experience of most doctors of the time. Bernstein was horrified but he couldn't resist further investigation. In subsequent sessions, "Bridey Murphy", who spoke with a distinct brogue and could even dance Irish jigs while hypnotized, described the town in which she lived, roads she had taken, and the people who were her family and neighbors. Because of the distance in time, it was difficult to check out all these details; but Bernstein felt it was necessary. They all checked out, save one: Although they had been able to locate a road that had long since washed away, and an abandoned town that had been a lively village in Bridey's time…no one was able to locate the baptismal records for Bridey, herself. A surprising number of religious traditions, including Judeo-Christian, include references to reincarnation. The concept of reincarnation was so ingrained in the early Christian church that it took 800 years to wipe it out! The Council was convened with the express purpose of condemning reincarnation once and for all. Here&apos;s how it was done. A total of 15 "anathemas" were created. Think of them as condemnations. The first anathema was, "If anyone assert the fabulous pre-existence of the souls (reincarnation), and shall assert monstrous restoration which follows from it, let him be anathema." From that point forward reincarnation was forbidden from Christian beliefs. Individuals who chose to preach reincarnation were persecuted. The church&apos;s campaign of terror and slaughter lasted until the 13th century when the last vestige of the belief disappears from the literatureâ€¦and it has remained so ever since. Living with a belief in the mechanisms of reincarnation and karma requires a re-evaluation of pretty much every opinion and attitude we possess. 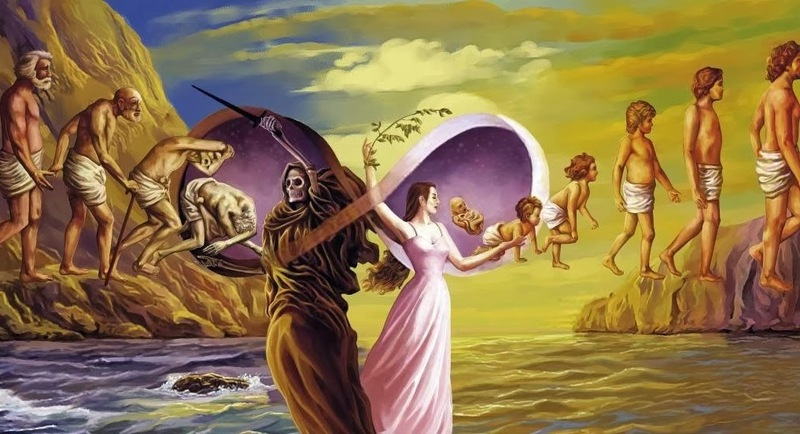 Here&apos;s what a lot of famous philosophers had to say about reincarnation.